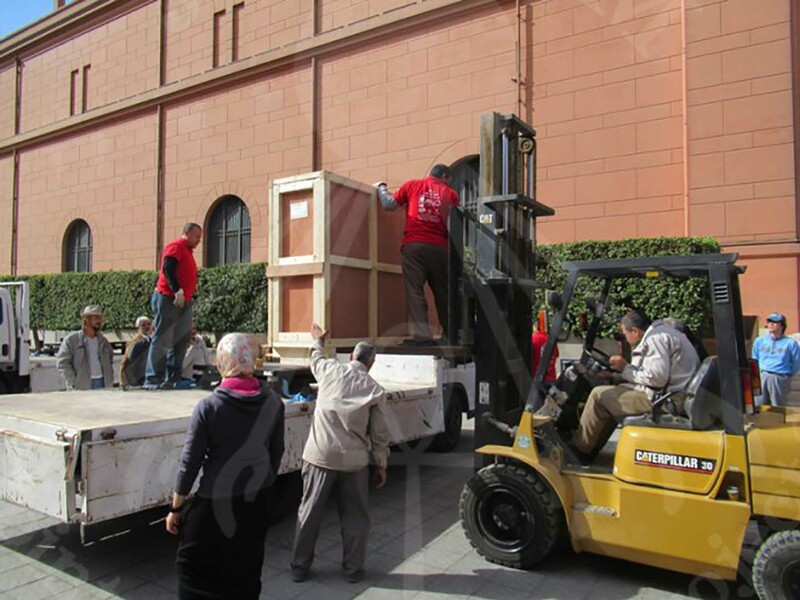 The Grand Egyptian Museum Joint Conservation Project (GEM-JC Project), a joint project run by Grand Egyptian Museum, Ministry of Antiquities and Japan International Cooperation Agency (JICA), had completed the transportation of 2 sets (5 pieces) of fragile and heavy Old Kingdom wall paintings from the Egyptian Museum of Archaeology in Cairo to the Grand Egyptian Museum Conservation Center (GEM-CC) in Giza on January 30th, 2018 (Tuesday). 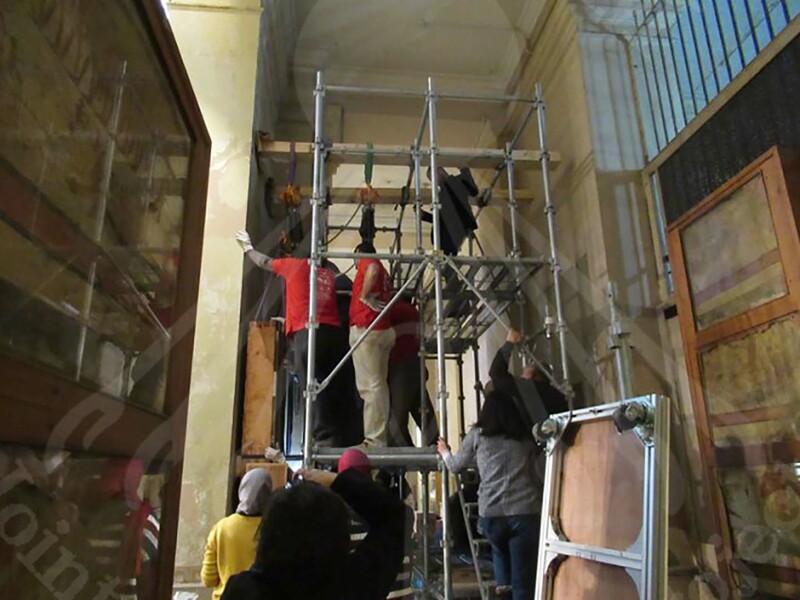 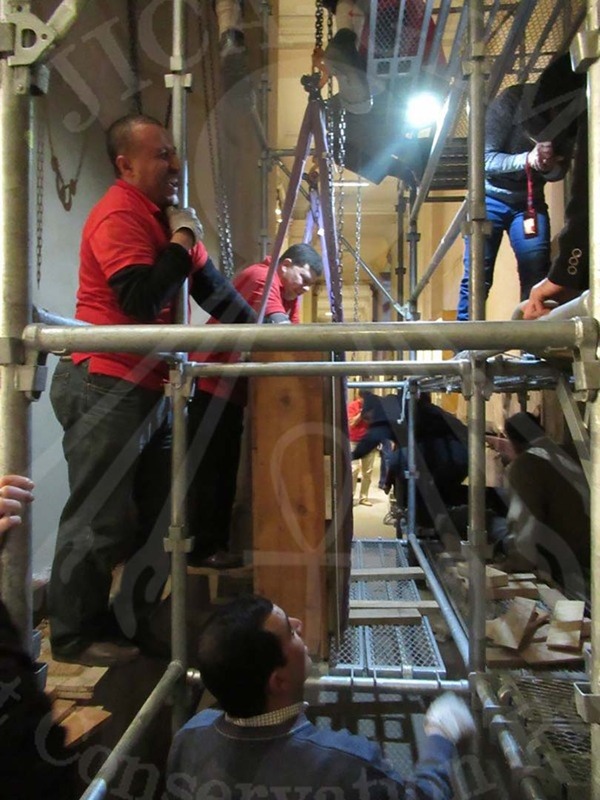 In this project, Egyptian and Japanese experts jointly implement technical cooperation for conservation of 72 target artifacts which will be transported to and exhibited in the Grand Egyptian Museum. 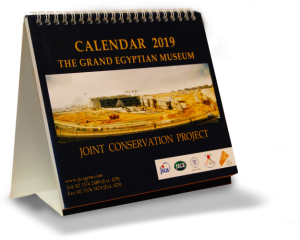 These items were selected according to their importance for the opening of the Grand Egyptian Museum and suitability for technical cooperation. This project had begun in November 2016, the Japan International Cooperation Center (JICE) and Tokyo University of the Arts (TUA) formed a joint venture (joint enterprise) and dispatched about 40 Japanese experts. 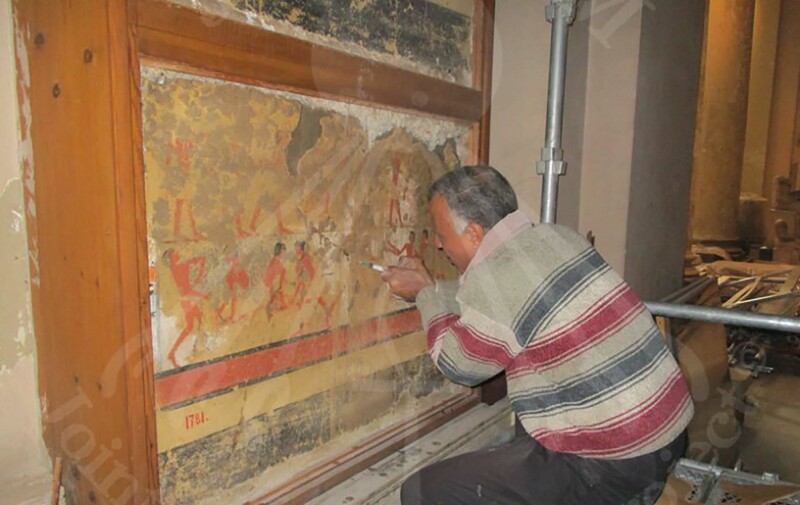 The wall paintings which were transported on 30 Jan. are five of the 18 pieces from Old Kingdom paintings discovered in the area of Dahshur by De Morgan in 1894-1895. 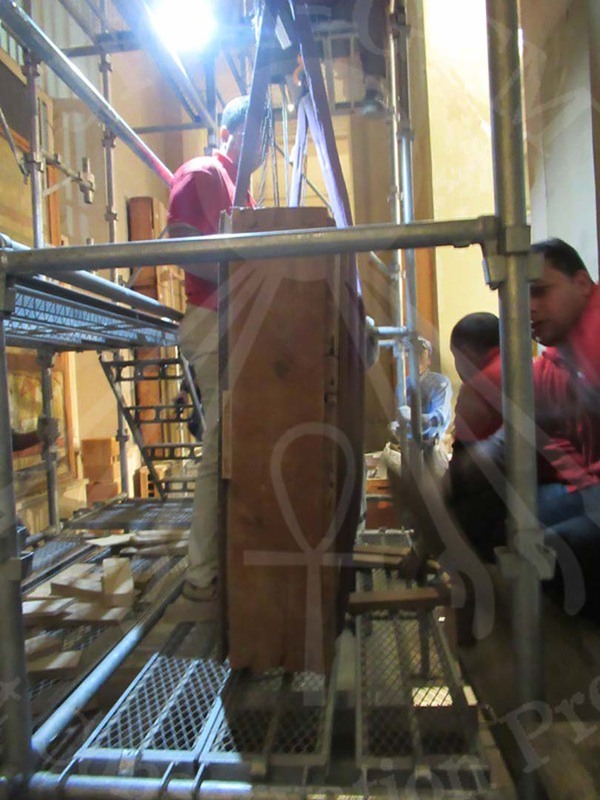 Those paintings belonged to the Mastaba tomb of Ini-sneferu-Ishetef. 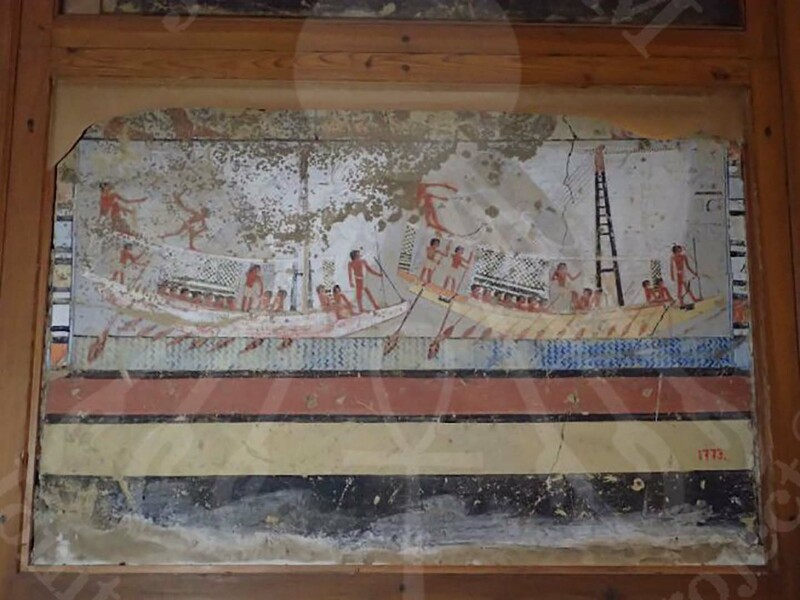 His title “Pr-‘aa sHD xnty-S (Inspector of tenants of the Great House)” suggests that he was probably serving the funerary cult of the deceased King Sneferu in the 6th Dynasty in the area of pyramid town probably located in the east of causeway of Sneferu’s Red (or North) Pyramid. 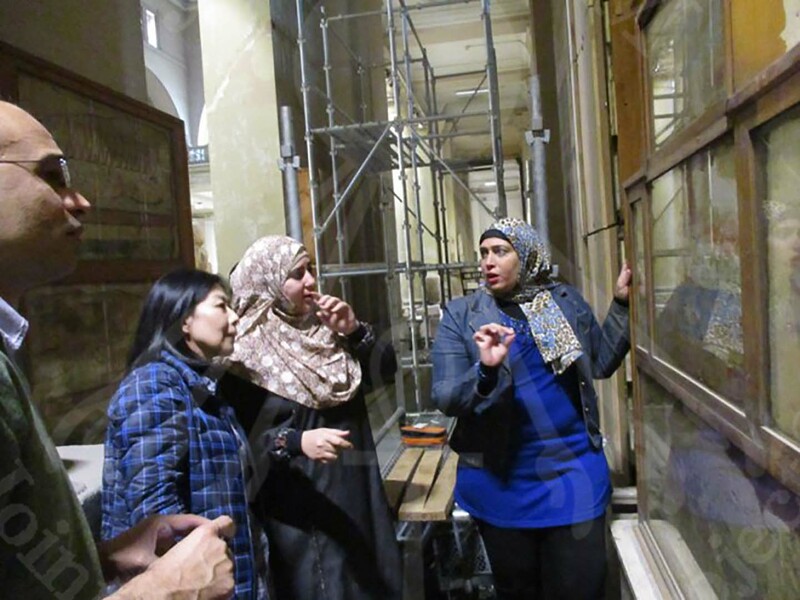 They are planned to be exhibited in the Second Phase of the Grand Egyptian Museum. 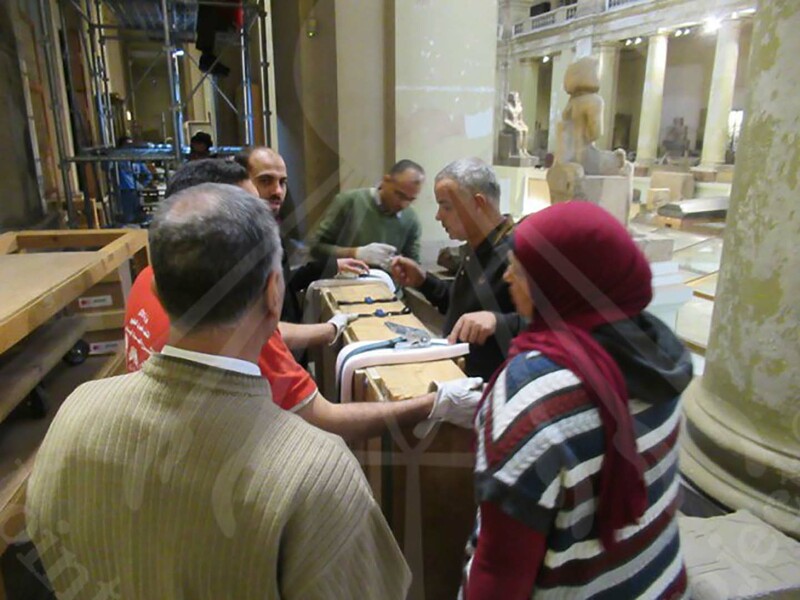 Considering the utmost safety of both people and artifacts, the transportation team from Grand Egyptian Museum Conservation Center elaborated detailed plan for every execution phases of packing and transportation procedures including selection of route, as well as vehicle arrangement such as trucks and forklift etc., and technical advice was provided by experts of the Nippon Express Co., Ltd. 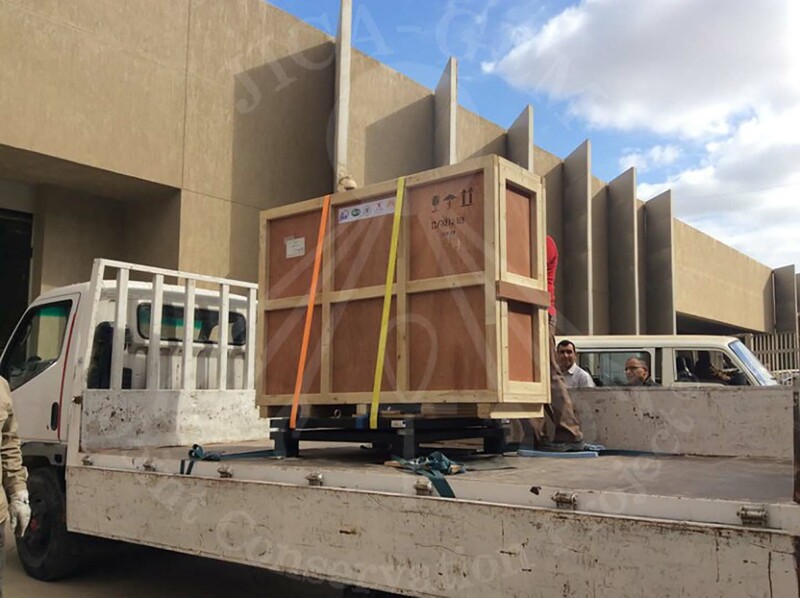 Furthermore, to ensure the safety of the artifacts, patented anti-vibration pallet of the company was used, and the vibration and influence on the artifacts were monitored throughout the transportation. 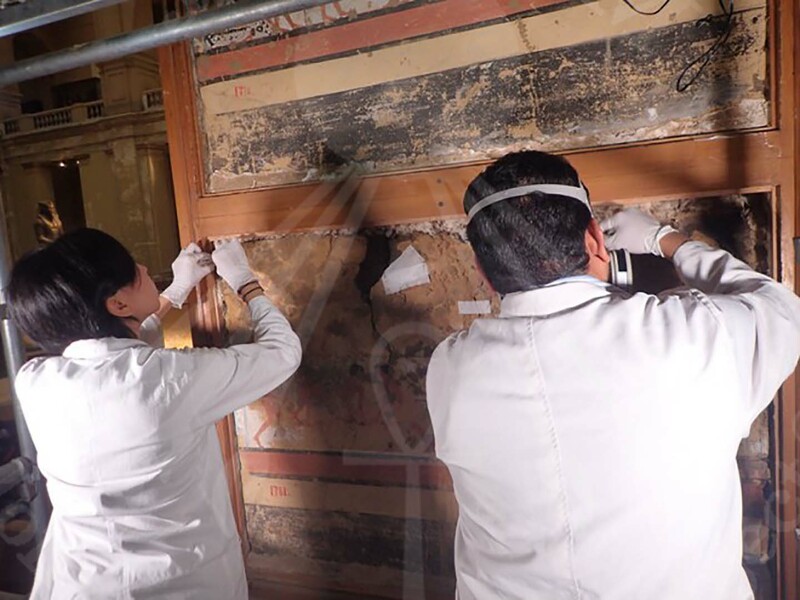 In the future, we will conduct scientific investigations for diagnosis and analysis, formulate plans and conduct conservation treatments which will shed light on the painting technique of these unique Old Kingdom wall paintings. 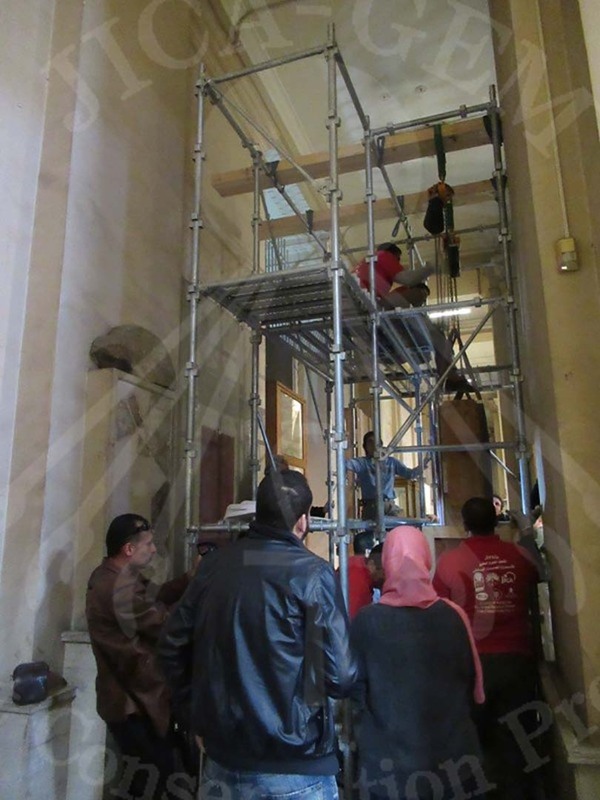 NEXT POST Next post: More survey conducted on wall paintings using X-ray radiography, electromagnetic radar, and high spec digital microscope.